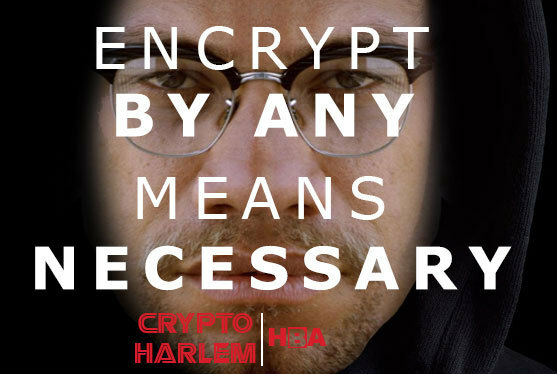 Phenomena like the Harlem Cryptoparty demonstrate the connection between racial justice and cryptography -- civil rights organizers remember that the FBI spied on and blackmailed Martin Luther King, sending him vile notes encouraging him to kill himself. A group of racial justice advocates, including #blacklivesmatter co-founder Opal Tometi, have written a letter to Judge Sheri Pym, the magistrate justice who ordered Apple to create an Iphone backdoor to give the FBI access to a phone used by a mass-murderer. The signatories make the point that crypto, and the ability to be private from law enforcement, is a necessary precondition for people who are organizing for social change.